It is nothing new that a mother’s diet and nutrient intake plays a direct role on the health and development of her growing baby. 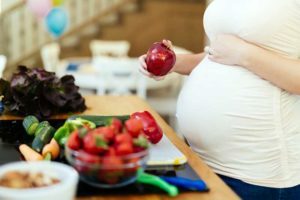 New research has discovered that if an expecting mother is low in vitamin B12, her child has a heightened risk of diabetes. Vitamin B12 is a water-soluble vitamin that the human body requires. It’s only found naturally in animal products including meat, fish, poultry, eggs and dairy products. Because it’s only found in animal products, vegetarians and vegans especially are extra-prone to being deficient in vitamin B12. This nutrient is important for many functions of the body, including DNA synthesis and the production of red blood cells. Vitamin B12 also plays an especially important role in the functioning of the nervous system, which includes nerves, the spinal cord and the brain. Not getting enough vitamin B12 can lead to a number of negative health effects. These can include abnormal sensations, poor muscle function, and mental changes such as depression, psychosis and irritability. Research also has uncovered the fact that not getting enough vitamin B12 during pregnancy does long-lasting damage on the developing child. Previously, findings concluded that mothers with low levels of vitamin B12 were at a greater risk of giving birth to babies with high cholesterol and insulin resistance, both of which play a role in diabetes factors. Recently, a team of researchers presented their findings at the Society for Endocrinology annual conference in the United Kingdom. These researchers analyzed 91 blood samples taken just after delivery from mothers and their children. In addition to these blood samples that were analyzed for vitamin B12 content, they also analyzed 83 placental tissue samples and 42 fat tissue samples. After analysis, the scientists determined that children born to women who had a vitamin B12 deficiency during pregnancy had a higher risk of eventually developing metabolic disorders, including type 2 diabetes. Other correlations that they noticed included that women with a vitamin B12 deficiency were more likely to be overweight and that these women tend to have lower birth-weight babies who have high cholesterol. Why Exactly Does This Link Exist? The correlation between maternal vitamin B12 and a child’s diabetes risk may seem odd, but there is an understandable explanation. Researchers believe that this link exists because vitamin B12 deficiency can alter the child’s leptin levels. Leptin is a hormone produced inside fat cells that is known as the satiety hormone. It is called the satiety hormone because it’s the hormone that signals our brain when it’s time to stop eating. The team that performed the study thinks that the mother’s vitamin B12 deficiency affects the child’s leptin gene programming, causing the child to produce too much leptin. Indeed, the researchers found that the infants whose mothers didn’t get enough vitamin B12 had higher levels of leptin in their blood. When there is too much leptin present in the body, leptin resistance occurs. Leptin resistance leads to overeating and therefore weight gain. The side effects of this weight gain include type 2 diabetes. In order to ensure that her child doesn’t have a heightened risk of obesity, type 2 diabetes and other metabolic disorders, she should make sure to take a prenatal supplement with vitamin B12 regularly throughout her pregnancy.